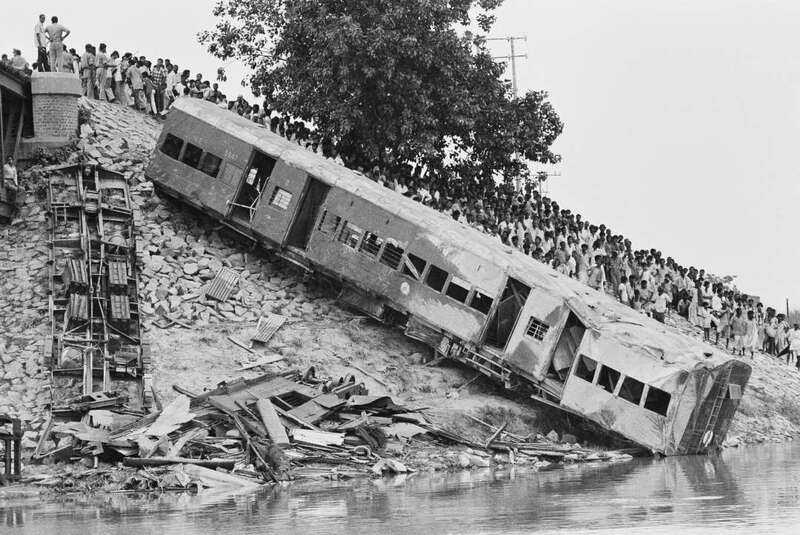 More than 500 passengers are killed when their train plunges into the Baghmati River in India on this day in 1981. The rail accident—the worst in India to that date—was caused by an engineer who was reverential of cows. 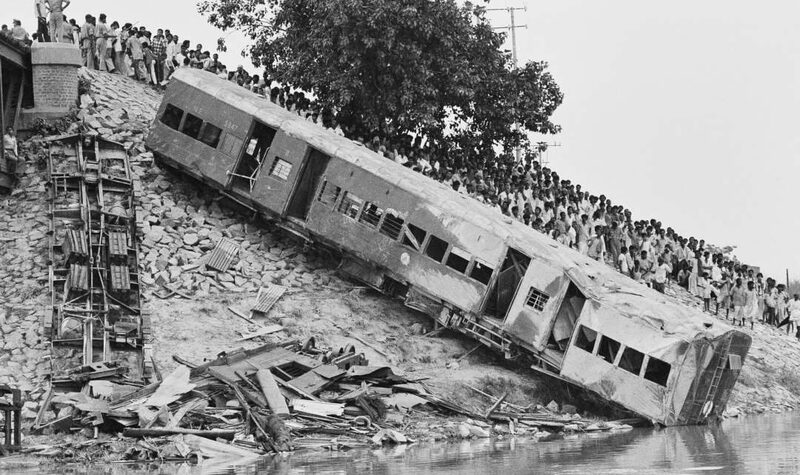 The nine-car train, filled with approximately 1,000 passengers, was traveling through the northeastern state of Bihar about 250 miles from Calcutta. Outside, monsoon-like conditions were battering the region. Extremely hard rains were swelling the rivers and making the tracks slick. When a cow and a Hindu engineer—who believed that cows are sacred animals—entered the picture, the combination led to tragedy. As the train approached the bridge over the Baghmati River, a cow crossed the tracks. Seeking to avoid harming the cow at all costs, the engineer braked too hard. The cars slid on the wet rails and the last seven cars derailed straight into the river. With the river far above normal levels, the cars sank quickly in the murky waters. 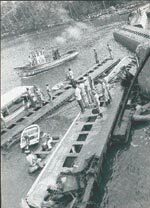 Rescue help was hours away and, by the time it arrived, nearly 600 people had lost their lives. After a multi-day search, 286 bodies were recovered but more than 300 missing people were never found. The best estimate is that close to 600 passengers were killed by the engineer’s decision.